The good, the great and the unexpected. When band members start solo projects, all bets are off. Here are some of the best and most memorable ever to grace our world. Cowboy hats at the ready. The only thing more surprising than Danny Worsnop making a country album? How much fun it is! Seriously. Step one: listen to loads of classic R&B. Step two, record an entire album, 'Soul Punk', on your own (every. single. instrument.). Step three: practice your dance moves. Going solo, the Patrick Stump way. Whether it's his covers of Adele and Paramore or 2015's 'Leave Your Love', Tyler does a great line in sultry pop / R&B. Just like this. Teaming up with everyone from Snoop Dogg and Pharrell Williams to Slash from Guns N' Roses, Travis released an all-star hip-hop record back in 2011. Here's a taster. This guy shouldn't need much of an introduction, but just in case: world, Andy Black. Andy Black, world. We reckon you'll get along. Also known as Routron 5000, Rou's electronic / DJ project has produced remixes, albums and all sorts of other stuff. Enjoy! Running from electronic pop to more traditional singer-songwriter fare, Matty's solo albums are far removed from his metalcore day job. Very far removed. Remember that time Fronz started his own rap project, and released an album called 'Party People's Anthem'? If not, you're in for a treat. Underøath's multi-talented drummer/vocalist has released two faith-based solo albums, 'Anthem Song' and 'Grace Through The Wandering'. Here's what that sounded like. Zac started HalfNoise in 2010, but the sound, feel and visuals of the project overlap a lot with Paramore's recent work. Check this out. 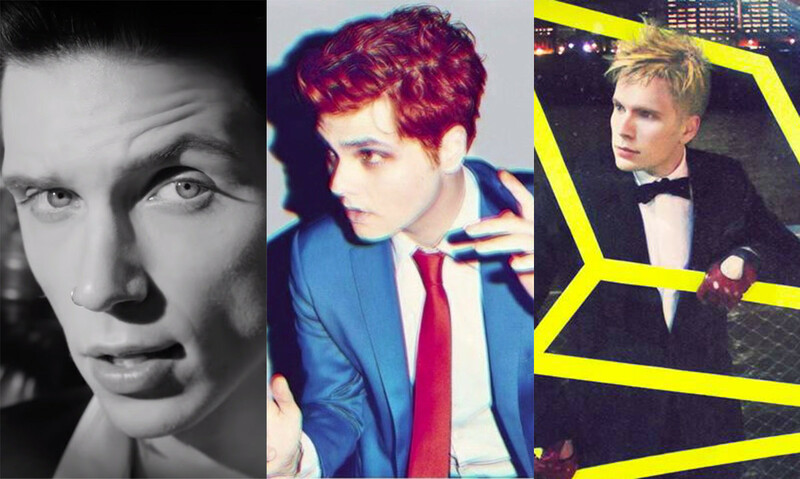 Since MCR called in a day in 2013, all four of the band members have started their own projects. Here's a reminder of all the great stuff they've been up to.